The game divides the classic series cast into two factions: the good side and the bad side. 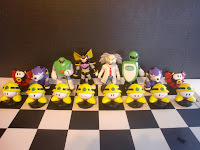 Dr. Light and Mega Man are the king and queen respectively; as are Dr. Wily and Bass. 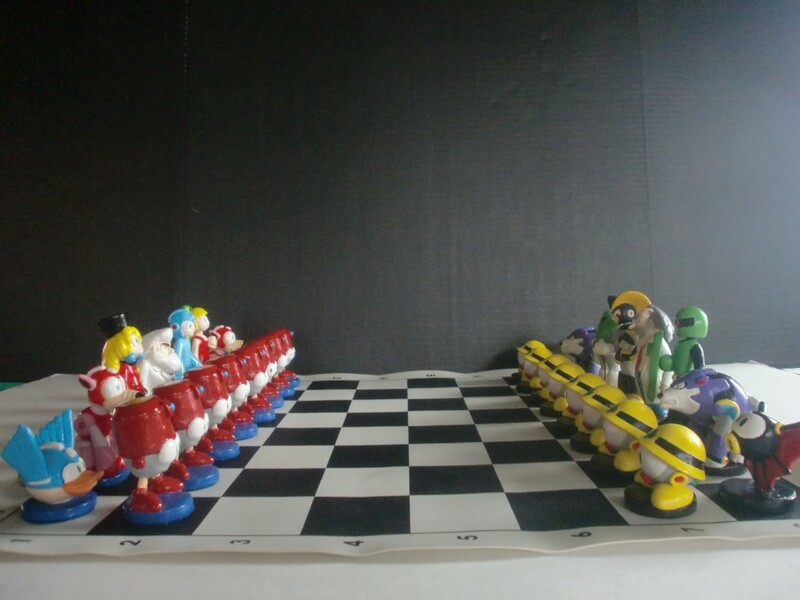 Roll and Kalinka fill the boots of the bishop, Rush and Treble take on the role of nights, Beat and Batton the rooks, and Eddie and Metools charge to battle as pawns. Quite an interesting twist on the classic strategy game -- it's certainly left a wry smile on my face! 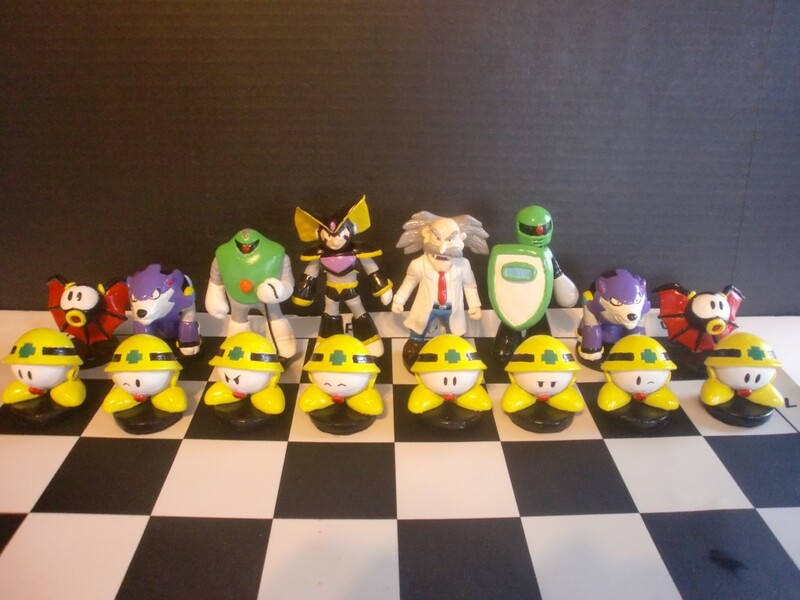 Chess aficionados will be happy to know you can request a commission from Fizzman Industries by filling out an order form here. Not sure how long Ben will offer these particular sculpts, so act quickly! Check out Ben's website for more pics of the Mega Man chess set as well as his other video game character sculptures. I have to say, Dr. Right looks like a grumpy old far in this chest set. XD An interesting concept all and all, though! Love the concept. :) The pawns having different expressions is a nice touch. 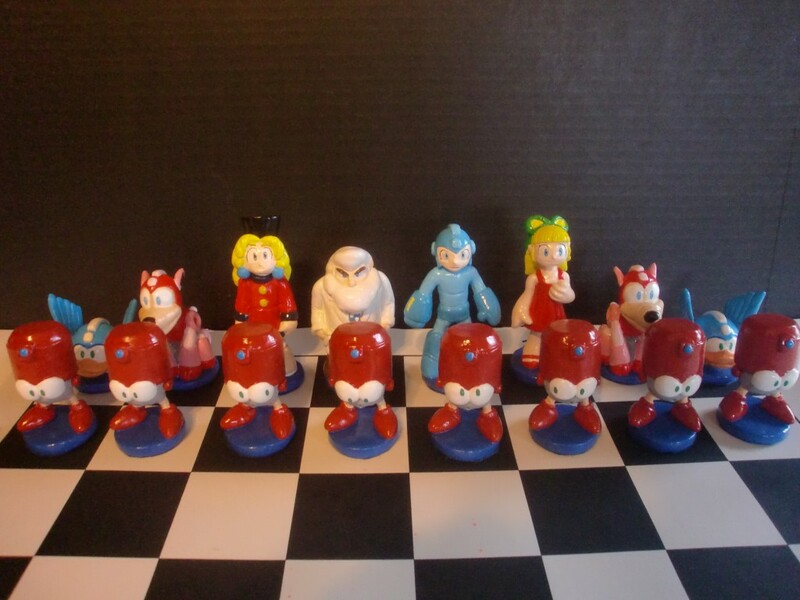 Looks cute, but Mega Man looks kinda weird. Just awesome!!! I love chess, I want that megachess pretty bad, but he should have chosen reggae as the rook. BTW protodude you repeated bishops. Where's Blues? Is he a secret piece that will come out of nowhere to help when Rock's in trouble? This is definitely really awesome!! What a great concept. I like now nearly every Mettaur has their own expression. Why are the rooks not Burst Man?! This is super awesome, really cool to see! 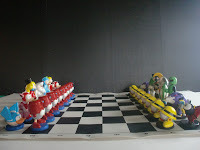 chadres this really cool, not very fond of chess but this felt like playing again.